The Villa is a perfect getaway place whether you're a honeymooner or coming as one big family. Set on more than half an acre of manicured grounds with landscaped gardens and water features offering maximum comfort and luxury privacy. 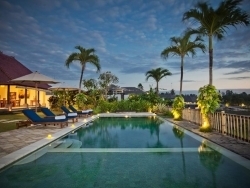 This 4 bedroom villa is perfectly situated 150 metres from the beach on Jalan Nelayan, renowned for its world-class surf breaks in outskirt Canggu area. 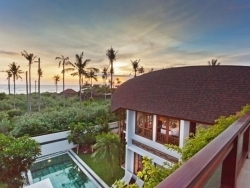 This 4 bedroom villa is absolutely dedicated for comfort and privacy in the true Bali. 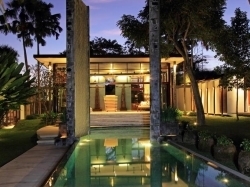 It is perfectly suited for families or small groups of discerning people who want to experience the best Bali can offer.